I was born in Monrovia, Liberia, but raised in a humble village over two hundred miles east of my birthplace as a member of the Naio clan of the indigenous Krahn tribe. In order to secure a quality education for me and to afford me the opportunity of an upbringing in modern society, just over two years after enduring the trauma of separation from my mother, my father sent me to live in Monrovia as a domestic servant at the age of seven. My life as a domestic servant was extremely difficult. I subsisted on three to four hours of sleep each night and emotional and physical exhaustion were my constant companions. Yet during this time, I learned of God’s unfathomable love and received a divine gift as evidence of His hand on my life. Moreover, I learned that I was related to the family of Liberia’s President Samuel K. Doe, who was also a member of the Krahn tribe and the first member of an indigenous tribe to serve as the president of Liberia since its founding in 1847 by freed American slaves. Samuel Doe had assumed power via a military coup in 1980 that toppled the Americo-Liberian government, which had ruled the country for 133 years. The Americo-Liberians, who could trace their ancestry to freeborn and formerly enslaved African-Americans, immigrated in the 1800s to found Liberia, as well as other colonies along the coast. These Liberians call themselves “Americo” or “Congo,” while they call those who are indigenous to the land, “Country.” Although they comprised about five percent of the population of Liberia, they dominated the intellectual class, controlling more wealth than the indigenous Liberians. On December 24, 1989, a few months after I completed my high school education and started college in Monrovia, a band of Libyan-trained, Liberian rebels, who called themselves the National Patriotic Front of Liberia (NPFL) and were led by Charles G. Taylor (a former government official), invaded Liberia from the Ivory Coast. Their goal was to overthrow what Taylor called, “The corrupt and dictatorial regime,” of President Samuel K. Doe. Some politicians and Liberian citizens hailed the rebels’ actions, because they did not support Doe’s regime. What resulted, however, was a horrible reign of terror that led to the death of tens of thousands of innocent people. With the outbreak of the civil war, my being a member of the native ethnic Krahn tribe and related to the first family made me an instant target, and forced me to run for my life. Rebels consisting of men, women, and children pursued me. Children as young as six or seven, drugged and trained in killing techniques, went into the battlefield. They were fearless, totally ruthless, and inhumane. They often killed fleeing civilians simply because they did not like their faces. They made people dance, laugh, and clap while watching their relatives or friends being butchered. These children were, without a doubt, capable of the worst acts human beings could perform on each other. Making matters worse, Charles Taylor additionally trained and supplied a Sierra Leone-focused rebel group known as the Revolutionary United Front (RUF), with the intention of destabilizing the country. 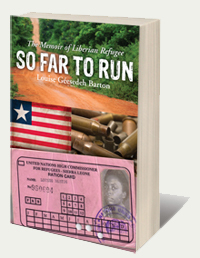 After barely escaping with my life into Sierra Leone, I found myself chased across the entire country by RUF rebels, who, like the NPFL rebels, were killing almost everyone in sight. The RUF also used children soldiers, and included at one point up to 23,000 of them—many of them murdered their own parents. This story is the firsthand account of my life as a struggling young girl who desperately wanted acceptance and love, and as a refugee who spent more than ten years as a hunted animal. To survive, I traveled over three hundred miles through two countries, and journeyed in a small boat over seventy miles through high seas to escape to Guinea, where I was falsely accused and thrown into jail. I was hunted, hounded, brutalized, starved, and flogged; yet, throughout my struggles, whenever there appeared to be no way out and no hope of survival, God provided miraculous sustenance and means of escape. My life has been a series of vast contrasts, where I have experienced the deepest valleys and the highest peaks, and have suffered unspeakable horror buttressed by unbelievable kindness. In the midst of it all, I learned to forgive, not blame; to love, not hate; to live in peace, not turmoil. God strengthened me, and my tears of misery transformed into those of joy. Many times, I thought I had breathed my last breath, and were it not for God’s grace I could not have survived to tell this story. My God-given gift saved me, as well as many others, from certain death during those many years of running as a refugee in the midst of the Liberian and Sierra Leonean civil wars. It is my hope that my story will inspire and encourage you to prevail against any obstacles that may come your way. One rebel boy thrust his closed fist at unsuspecting people, screaming, “It’s getting warmer!” Reaching me, he shouted, “Oh, oh, it’s burning me!” as he opened his fist and frantically shook his hand in the air. He announced to the others, “Hey, I’ve got a firecracker over here!” He looked me straight in the eyes and said slowly and pointedly, “Today could be your lucky day.” I begged for mercy as he laughed hysterically. At one point, the rebel boy with the trigger finger necklace playfully skipped over to where twin, teenaged girls were holding each other. The boy danced around the two girls as they trembled in fear and tried to turn away from him and his taunting. “My finger is burning hot and you two are going to die.” He was sure they were Mandingo girls because of their ebony skin. The twins were dragged behind the hut. Their screams for mercy pierced our hearts for we knew there was no one to rescue them. When the rebels had run out of strength, they forced the girls to stand naked along the side of the road, and shot them down. Two delicate and beautiful, ebony girls were dead. The boy froze with fear and could not respond. The rebel reached out his hand with the ring and joyfully chanted, “Yes, yes, yes. You are a Krahn. A dirty rotten Krahn dog. My ring never lies. I recognize you from school.” He turned and looked at the other three boys and said with a wicked smile, “What do we have here? Did we hit the jackpot? Are these your brothers?” The youngest of the four cried; he had soiled his pants. I had followed this family through the forest and we had shared our joys, hopes, and fears with each other. I shook violently as they were forcibly ushered out of the group. The oldest boy, shot in the head, collapsed to the ground. The youngest ran to his side and was blasted with bullets. The other two fell under waves of gunfire. That wretched scene was committed to my memory as if branded there by a hot iron. A rebel yelled, “Give me six feet,” as he motioned for the crowd to move back. He felt six feet would give him ample clearance and, before I could blink my eyes, I saw bullets rip through the entire family he had ousted from the throng. One of the rebel executioners took out a sharp machete and with one sweeping blow beheaded the father. Grabbing the head by the hair, he brought it over to me and told me to hold it and dance with it in celebration. When I refused, he hammered me with his fists until I passed out. A rifle fired near my head, and the resulting loud ringing in my ears jolted me back to consciousness. I gasped, realizing I was again in hell. They called me my father’s handbag, a child a parent takes along everywhere they go. I loved traveling at my father’s side, or on his shoulder; however, these trips were out of necessity, not merely pleasure, because I had ended up in the care of his remaining six wives. Two of my mothers lived in Gienwen, two in Bawaydee, and yet two more in Zwedru. I questioned him, “I can be grown up enough to be like an eleven-year-old?” My father’s nodding with certainty made it so; I only knew to trust him. And yet, I did not want to leave him, so I grabbed him around the neck with all my might. His decision was made, so he gently but firmly removed my arms, looking deeply into my eyes as if he were willing me to be eleven. “You will be living with the Smith family in Monrovia. Your brother Solo lives there. You haven’t seen him since you were a baby. You’ll have a wonderful time. It’ll be an exciting adventure, and you can attend school there.” Before I could respond, he quickly emphasized, “And you’ll become civilized!” I did not know what the word, “civilized” meant, but I did know it was something my father highly prized. Although Solo and I lived together in the same household, our being domestic servants and attending different schools prevented us from developing a sibling relationship. As I developed a command of the English language, I would often attempt speaking to him as we passed each other in the hallway. If we were not in earshot of Mrs. Smith, Solo would whisper, with panic in his voice, “We’ll both be in real trouble.” On occasion, but only for brief moments, Solo and I might assist each other with chores. Even then, we could only discuss the work at hand. If Mrs. Smith caught me attempting to have a casual conversation with anyone, Solo included, she would sharply retort, “Louise, have you finished cleaning the kitchen?” or “Louise, have you finished the dusting?” or “Louise, go straighten that room!” Mrs. Smith never allowed her domestic servants to be idle. Around midnight each night, I would collapse onto my mattress on the floor. I was too fatigued to do any homework. I worked so hard each day that I was often too wound up to sleep and was plagued with insomnia. I was so terribly lonely and utterly unhappy that tears came quite easily. One evening, when I was only nine, and felt I could no longer take all the abuse, I dropped my washrag and, without even trying to be quiet, pushed the back door open and let it slam shut behind me. I had no idea where to go, and I did not care; I ran hard, without looking back. I just wanted to be free. We drove down a divided highway that had a lovely median lined with shade trees; and I looked up to see a massive concrete and steel building that seemed to tower into the sky. In a moment, we were at a heavily guarded entrance gate, where soldiers saluted, opened the gate, and bowed to our two cars. We drove down a tree-lined drive, approaching the front of the palace. I saw three large fountains and a beautiful walkway crossing a reservoir to a concrete platform that I expected was used for large outdoor meetings and celebrations. The building was intimidating. The massive structure and all it represented left me awestruck. In front of the building was the Liberian flag; a flag with eleven stripes and one star. The red stripes stand for courage; the white for purity. The single white star signaled Liberia’s being the only sovereign African republic in 1847; the blue background represented the richness of the African continent. A banner that read, “The love of liberty brought us here,” topped the beautiful seal of Liberia mounted securely to the front of the palace entrance. Much like the original settlers of Liberia, I too had hopes and dreams for a better future. I was in the kitchen at the time; even from there, I could hear the sudden firmness and concerned tone of the British Broadcasting Corporation (BBC) announcer’s voice as he interrupted the music. All the merry-making and chatter going on in the living room came to an abrupt halt, and Mrs. Smith ran over to the radio to turn up the volume. The BBC announcer said, “Rebel forces have entered Liberia from the Ivory Coast and are heading toward Monrovia.” At the time, I did not know what a rebel was; I learned very quickly, however. One of Mrs. Smith’s guests explained, “Rebels are rebellious, disgruntled people who fight to bring down the government.” He also shared why he felt this was happening to our country. While trying to fathom the meaning of what he was saying, I realized the man had stopped talking. He quizzically looked at me, and then turned his gaze toward Mrs. Smith. Her eyes narrowed as she looked my way. She bit her lip and furrowed her brow as if in deep thought. Immediately after dinner, Mrs. Smith’s guests excused themselves and headed home. Mrs. Smith spent the rest of the evening on the phone; several times, I heard her mention “Krahn;” this confused and scared me. The next day Mrs. Smith was especially tense and I could tell she was very uncomfortable having a Krahn servant in her home. As time went by, she unleashed her temper on me more often and for the smallest of things. One morning, in the midst of all the turbulence, Mrs. Smith informed me that one of her daughters reported having caught me stealing perfume. Mrs. Smith angrily accused me, “Louise, you stole my perfume! And are using it!” I pleaded, “No, Ma, I didn’t take your perfume.” Visibly shaking she screamed, “Don’t lie to me, my daughter told me that she smelled my perfume on you.” I was shocked at the accusation, and begged her to believe me. I offered to let her smell my clothes, and before she could protest I ran to my closet and grabbed the clothes I had worn the day before, saying, “Here, you can smell these, too.” She reached out, ripped the clothes from my hands, quickly smelled them, and threw them back at me. She looked at me with anger in her eyes and shouted at me with a quiver in her voice, “It does not matter whether or not I can smell perfume on your clothes. I can not and will not have a thief living in my house!” I dropped down, holding onto her feet and begging, “Please, Ma, don’t throw me out. I have no place to go.” She pointed her finger at the door and screamed, “Get your things and get out!” I could not do or say anything that might change her mind. I cried as I pushed myself up from the floor and retreated to where I kept my few belongings. This was the first time anyone had ever accused me of stealing anything from the Smith family. Mrs. Smith’s daughter had never accused me of anything before. We had always been friends, and she had been my advocate, even pleading my case in years past. She had often come to my rescue in order to protect me. I thought, Why is she doing this to me? I stumbled out the front door and collapsed on the porch, begging for mercy. Mrs. Smith, who was standing at the door, did not listen to my pleas. I continued to scream and beg, “Ma, I have no place to go!” I sobbed and begged with all my heart, “Please, don’t throw me out. You are the only family I have. If you leave Monrovia, please take me with you. Please, please!” I was frightened and had no place to go. She waved both hands in the air. “Go and find somebody. Just go. You can’t stay here anymore.” She turned away from me, saying nothing, and closed the door. I had no place to go because most of our neighbors had already fled the city. How was I going to survive in the midst of civil war where those of my ethnic background were being hunted down like vermin? I looked toward the house I once considered home and to the door that separated me from safety. I shook my head from side to side in disbelief; the Smith family had abandoned me. Children wielding AK-47s and teenagers dressed in party wigs, tattered wedding gowns, and rainbow-colored, feathered boas filled the town. A macabre scene had become our world—gruesomely horrifying, ghastly in appearance. These doped-up, dressed-up, messed-up rebels, performing their dance of death, believed their cross-dressing would both terrify their victims and confuse their enemies’ bullets because they were assuming two identities at the same time; they also believed they were magically protected by their rebel tattoos and the voodoo talismans that hung about their necks. The RUF rebels had quickly overrun and killed the Sierra Leonean soldiers; those we had been encouraged to believe would more than adequately protect us from an invasion. In a matter of minutes, rebels were marching around the town, shouting for everyone to get out of their houses. We did not want to run barefoot into the brush, but with RPGs shrieking past us, we had no other choice. Unseen branches yanked wads of hair from my head as RPGs screamed past, lighting up the forest. Trees split in two and fell across escaping refugees. We darted under branches and behind trees and bushes. I burrowed down in the underbrush, lying flat on my stomach. Rebels, who had heard noises from the brush, pointed their rifles and shot in our direction. They did not care who they killed, and often killed their own comrades this way. We ran out of the woods, away from the fire and onto the main road, just in time to see hundreds of other refugees scattering to the sides of the road as Red Cross, UNHCR, and UNICEF vehicles honked and drove through the crowd. Every vehicle was crammed to capacity, leaving no room to give a much-needed ride to any of the refugees. I could tell by their eyes that they were very afraid for us and wished they could help in some way. The best they could do was head to the next town, set up a station, and wait for us to arrive on foot. By that time, we had all been on the run and without sleep for two days. The long, hot journey was taking its toll, and our numbers were slowly diminishing. We had no food, no water, and no energy. Those who could, slowly marched onward with blistered and bleeding feet. Many, however, expired under the strain or simply had neither strength nor motivation to go on and sat down to die. In hot, humid, tropical climates, a healthy person can expire in less than three days without water. Walking in the open sun can cut that time in half. The survival time for children and the elderly is even less. Those remaining had survived this long by drinking small amounts of water found in the dirty creeks and puddles along the way. My lips were cracked and my tongue cleaved to the roof of my mouth. My sinuses and throat were so raw that I could feel the air scrape its way down my esophagus and into my lungs. I did not have enough saliva to speak and I avoided breathing through my mouth. Calling out to God in silent prayer was the only thing that quieted my pain and the anguish of my incredible thirst. In about an hour, the town of Zimmi was in sight and we slowly shuffled on as I thought to myself, You’re almost there. Just one more step. You’re almost there. Just one more step. Much to our disappointment and adding to our desperation, we arrived just in time to see the Red Cross volunteers and aid workers from other relief agencies packing and getting ready to leave. Everyone else in town had already evacuated because of the danger posed by the advancing rebels. What we had thought would be a relief station was turning into a ghost town. Those who had enough money to pay for transportation snatched up the few seats available on commercial vehicles that were there from nearby towns. The rest of us had little hope of survival, as we had to fend for ourselves. I slowly turned and saw a pistol inches away, pointed directly at my forehead. I fell to my knees and covered my head with my hands. I heard screaming but did not know if it was mine. The Sierra Leonean police officer growled, “You are under arrest for cooking for rebel soldiers!” I protested that I was a refugee, and would never aid the rebels. He retorted caustically, “Someone told us they saw you cooking!” Instead of handcuffing me and taking me in a police car, he threw a rope over my head, wrapping it around my neck, and yanked it tight. This cut off most of my breath and caused my temples to throb and my ears to ring. A crowd of people came over to see what all the commotion and screaming was about. The next thing I knew, the mob had caught me up in a frenzy of hatred that Lucia was powerless to stop. They pummeled me with their fists. The endless kicking and punching, which the officer had initiated and participated in, nearly killed me. One last time I managed to scream, “Please, don’t kill me. I’m not a rebel. I am innocent!” It was no use; they ignored my pleas. The thought washed over me that this was most certainly my last day. Experience had taught me that once a person has been accused of being a rebel, or of aiding rebels, he or she is dead. Someone suddenly yelled, “Back off!” The crowd parted and another police officer strolled over to me. Instead of coming to my aid, he ripped off my clothes and tied me up with ropes so tight that the blood stopped circulating in my arms and legs. Loud boos and jeers came from the homicidal mob and angry onlookers threw stones and whatever objects they could pick up. An angry woman ran across the road and struck me on my back with a shovel. The officers allowed the crowd to claw at me, beat me, spit on me, and throw filthy water on me. The crowd continued to grow as the word of a captured rebel spread through Freetown like an out-of-control blaze. I heard a loud fury of voices chanting, “Kill her! Kill her!” Thoughts of Jesus began tumbling through my mind; when he was falsely accused of treason and an angry crowd called out, “Crucify him! Crucify him!” I was powerless and felt myself slipping away. . .
A tidal wave of RUF forces was making its way toward Freetown, Sierra Leone’s capital, and we knew that wave would first slam into the town of Waterloo. Anyone who did not evacuate the camp soon would end up caught in the crossfire between rebels and the Sierra Leonean forces. We ran with a multitude of refugees and headed south as fast as we could. In a few hundred yards, the sound of gunfire coming from the direction we were heading stopped us in our tracks. I truly thought we would all perish, and implored, “Lord, Jesus, please help us!” We quickly turned around and headed north; running for the cover a nearby palm plantation might afford us. After an hour of non-stop running, scraping ourselves on thorny palm branches and poisonous ivies in the process, we reached the main road. We bent over in pain from severe cramping and sheer exhaustion. There was no sound except that of our heavy breathing; hundreds of lungs filled and emptied, plying the air as one massive bellows. The muscles in our legs and thighs began contracting uncontrollably, and some of us collapsed on the pavement, suffering from the spasms. The officer shoved us inside the cramped cell, and then bent down to place heavy leg irons over our ankles. After taking off our handcuffs, he gave Moses a swift, hard kick in the back that shoved him into me, causing us to both fall on our elbows and knees and skid across the concrete floor. Cecelia stumbled over to her boyfriend’s side crying, “Moses, oh God!” She looked up plaintively at the officer who smiled down at her smugly. Abel, who could hardly stand, staggered over to where I had landed and, bending down, tried to lift me up. The cold steel jail door slammed shut, leaving us in darkness. We could see nothing and I shuddered, thinking that this could become our tomb. In less than an hour after setting foot on Guinean soil we were locked in a dark and gruesome cell in the Matam Police Station’s jail at the mercy of a system well known for its practice of holding the accused indefinitely; a system in which the incarcerated would often languish for years before being tried or released. What crime had we committed? 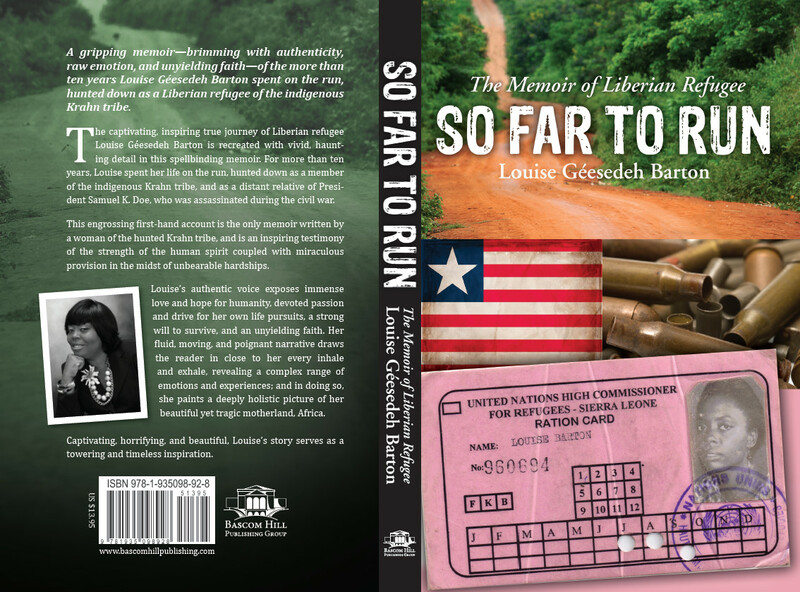 We were Liberian refugees who had endured both the Liberian and Sierra Leonean civil wars while being chased halfway across Liberia, and all the way across Sierra Leone. The fact we were Liberians was deemed sufficient evidence for us to be held as rebels. We had no means of pleading our case, and had no hope of release. As John backed away from us with his face screwed up in disgust, he continued making gestures with his hands for us to leave the UNHCR compound. Unbelievably, when we did not comply, he stalked over to Abel and shoved his debilitated body to the ground. I cried out and reached for Abel as Moses leaned forward in an attempt to prevent him from falling over. We both helped to readjust Abel, once again leaning him against Moses’ legs.